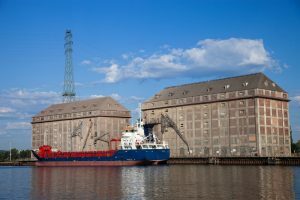 Imports of grain to China plunged in July after rounds of heavy tariffs between the U.S. and China were enacted. Data reviewed by Reuters shows China imported 220,000 metric tons of sorghum in July, down 62.5 percent from 588,300 metric tons a year ago. The imports were also below June’s 450,000 metric tons, when buyers scooped up U.S. shipments of sorghum. The customs figures do not give a country by country breakdown, but China imports almost all its sorghum from the United States. In July, China imported 330,000 metric tons of corn, down 63 percent from last year, and wheat imports declined 43 percent from a year earlier. Customs data from China shows that the nation imports one-third of its corn and wheat from the United States. Market experts from China blame the ongoing trade war between the U.S. and China as the likely culprit for lower imports of grains. The trade war has targeted agricultural products from the U.S., including staple imports of pork and soybeans. Meanwhile, China has begun importing pork from Chili and the European Union.